So I don’t know if I’m rightfully calling them Lucban Puto, but for sure, I was trying to copy what I used to eat in Lucban when I was younger. My lola (grandma) Belen, when she was still alive, always called us before any of our trips there to ask what we planned on buying, since most of the items were pre-ordered. We always had a box of espasol, suman and puto, a tin of broas (lady fingers)plus the famous Lucban Longganisa in our take home tray. All of the kakanin (rice cakes) required a couple of days of preparation which proved to me that all of them were made from rice, and not from flour. Though I was always keen on finding about the preparation in making longganisa, choosing to watch them make it in their homes even when I was younger, I never was that interested in the puto until recently when we have failed to find my lola’s old supplier after many inquiries. We were given pale brown puto, and most of the people did not even know what the brown lucban puto was about. 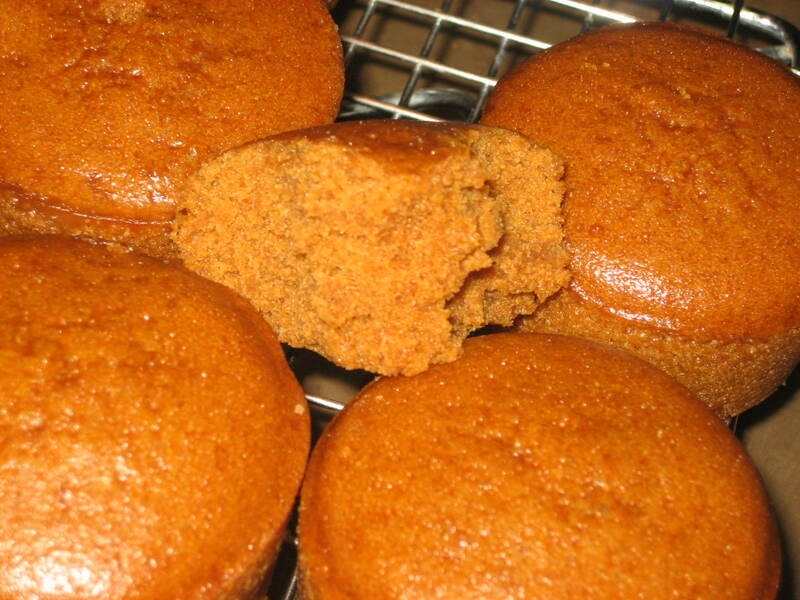 In my frustration, I have done so many attempts of the puto except for the easy way of using baking powder. I always thought it was a cheat. It’s not how they did it in the old times. (Or so I assumed.) 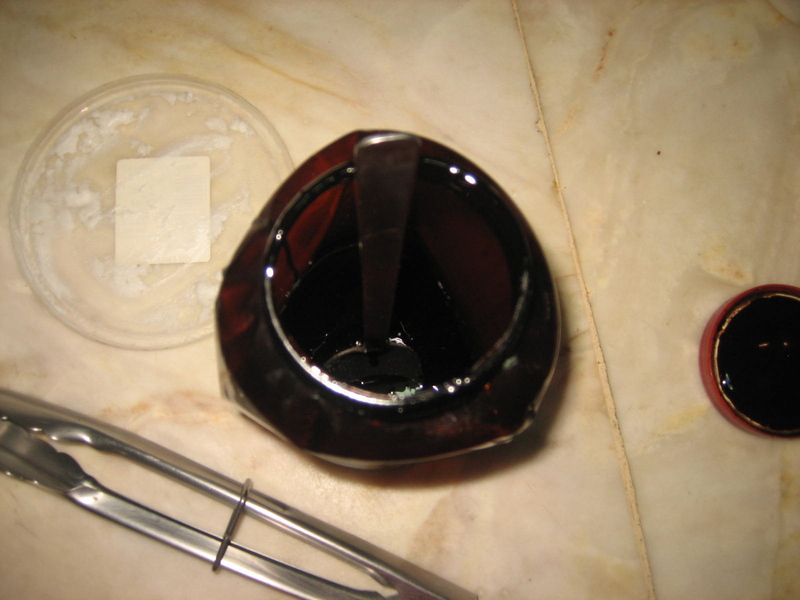 During my last foray into the puto world, I discoverd that some use yeast, which I tried, and was the closest I could come to the puto that I wanted. But it’s only recently that I have found out that some use cooked rice to ferment the puto. Using the rice would be much easier, and hopefully tasted better. I had to chalk up the “beer-y” taste I like in the puto to the fermentation process. So I gave it a go. I soaked the rice overnight and ground them in the blender along with soem of the water. In this part, I overwatered everything. But I already made adjustments in the recipe. 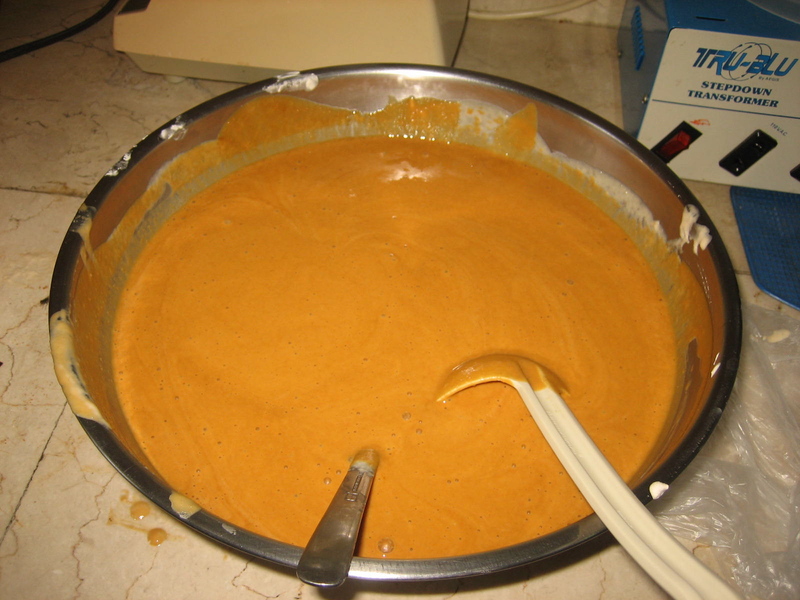 I added the necessary cooked rice to the mixture and pureed it again. I crossed my fingers that it would not smell funky after another night of soaking. Well, it smelled a bit funky. And it did not ferment enough to thicken the mixture. It was soupy and I am sure I won’t be making puto from that mix. So I made MAJOR adjustments. I added rice flour. (Tried to cook some here, totally failed. It lacked everything). I added yeast. (Tried to cook some here, good enough, but almost. Not yet perfect.) And I added molasses. The color of the mix from the brown sugar (which I added after the supposed-to-be-thick mixture after the fermentation) did not even come close of the brown color of the putong Lucban. It was a bit of inspiration (or desperation). As I smelled the molasses, I realized that the smell was akin to the puto! And the smell of the yeast also added to the “beer-y” taste I was so after. (At this point, I was almost ready to add beer too). Now, everything looked good to go and the sample I cooked was near pefect for me. The first batch I cooked was the same. At this point, I had to leave the house (or lest risked my mom’s ire) and so I left everything to ate Pines. At this point when disaster struck. I forgot that yeast lives until it dies (duh) through the cooking part so it continually rose to the point of deflation. The dozens of puto I was looking forward to having became a glutinous mess. At least some were saved, the ones I cooked and the ones cooked first. Next time I know. 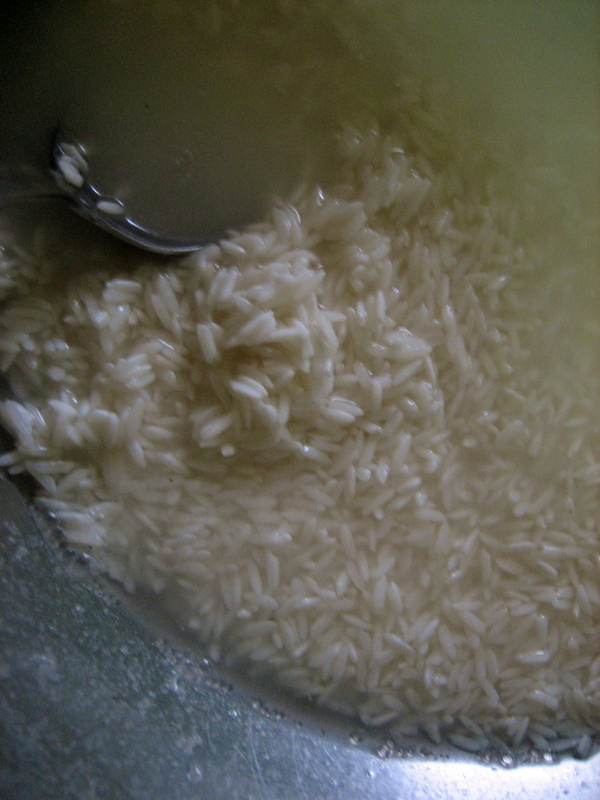 Soak the rice in water overnight. 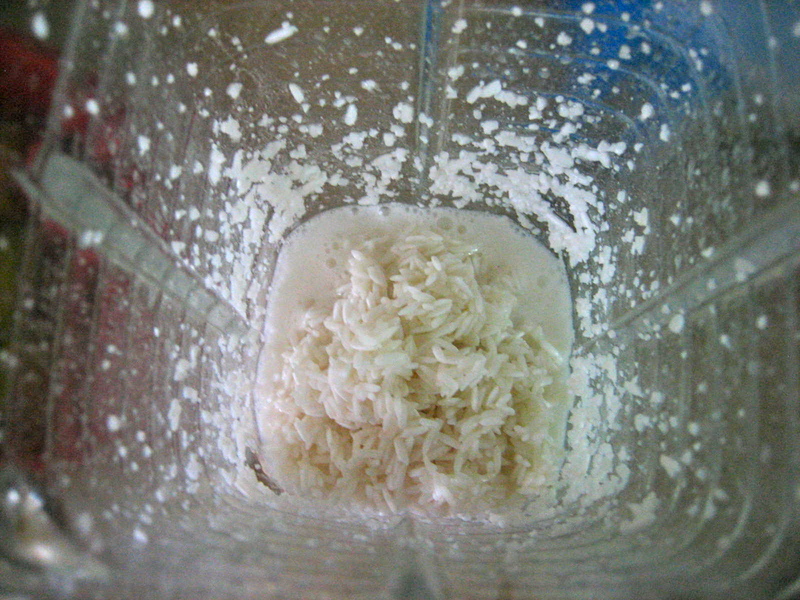 In the blender or food processor, whiz the rice, holding back on some of the water. Whiz until it is liquefied and add the cooked rice, whizzing some more. Let it ferment again overnight. 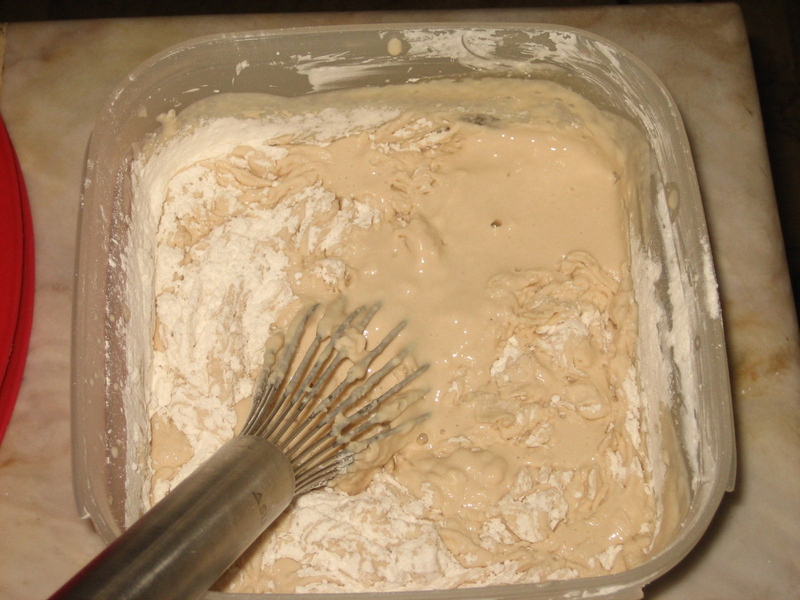 Ideally, it is at this point that the consistency of the mixture thickens into almost a paste. It was still a bit watery for me (hence the instruction to hold on to some of the water). So this is where the cheat comes in. 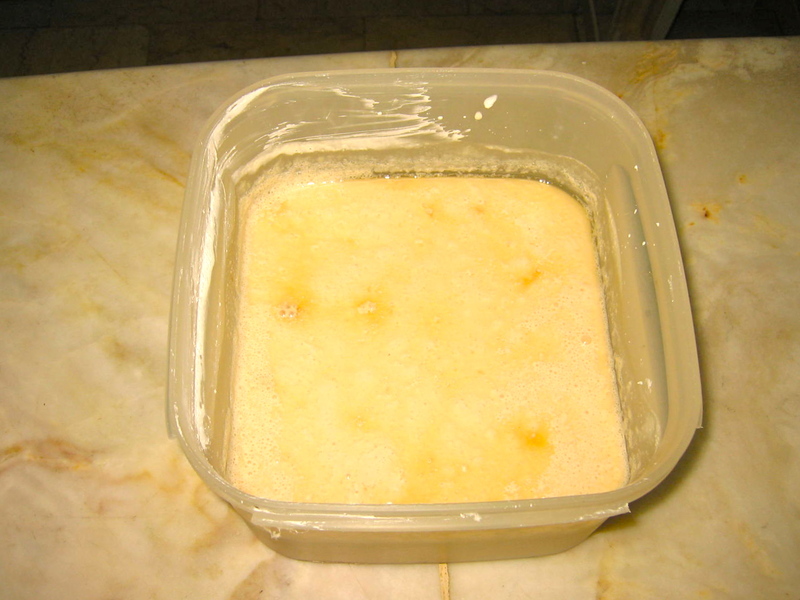 I added the rice flour slowly, then added the yeast to the water. As soon as it started foaming, I added the yeast mixture to the rice. Let it rise for a good 30 minutes. Add the sugar and molasses. Now, if it thickens, good for you. Now you can add the molasses and the sugar. I had to adjust my sugar by steaming a puto mold full of the mixture to taste test it. Better with less sugar than more. 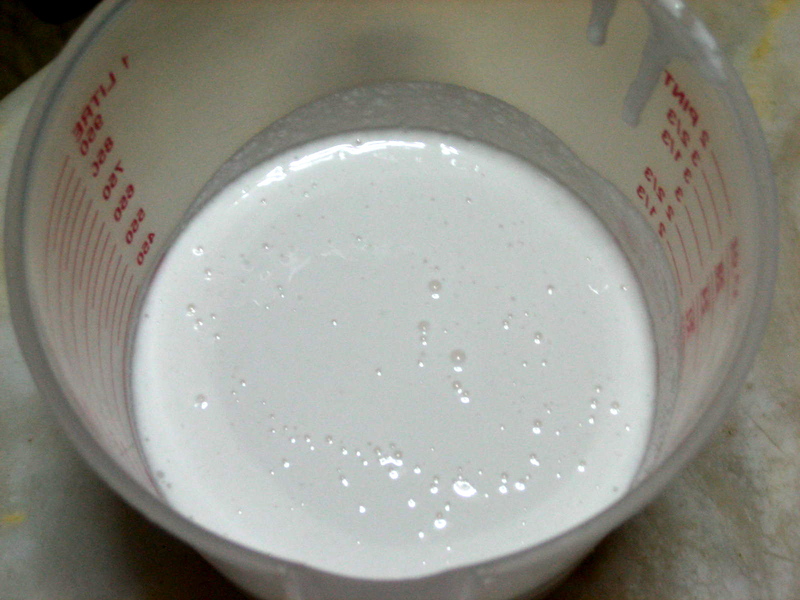 If satisfied, put shortening in your molds before putting more of the mixture for steaming. Take note though that if you went through the yeast route, you will have to deflate the mixture every now and then by mixing it. Over-rising will cause your puto to deflate horribly wrong while cooking. Also don’t allow to oversteam, I reckon this will have the same effect. Steam for about 10 to 15 minutes. Pull out from the pan and cool. It should come out light and fluffy! The cheating results looks yummy! Thanks for sharing. Sure thing 🙂 But can my name be there? I want bragging rights 😀 hahaha. but I think you have to play around the recipe first to get it right! So did this recipe end up tasting like the brown puto lucban that you were after? I remember that puto and I’m dying to make it!! I was also craving for the Lucban Puto. My Lolo and Lola are the only ones that I know who makes these sweet treats in Lucban. 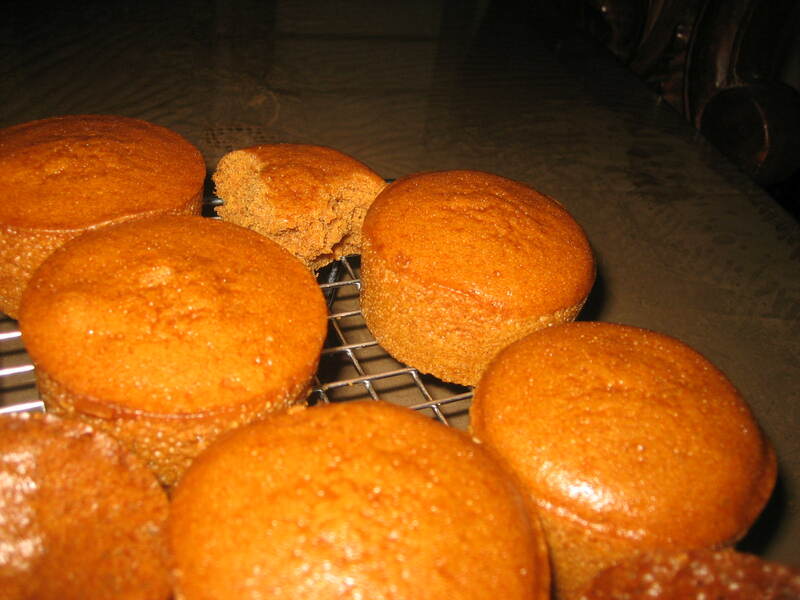 They are now both gone and no one was able to get the recipe.